When looking at a photograph of a Hot Toys figure, one can’t help but think they’re looking a photo of the actual subject. The level of detail and the realism of the textures and surfaces are astonishing to see. 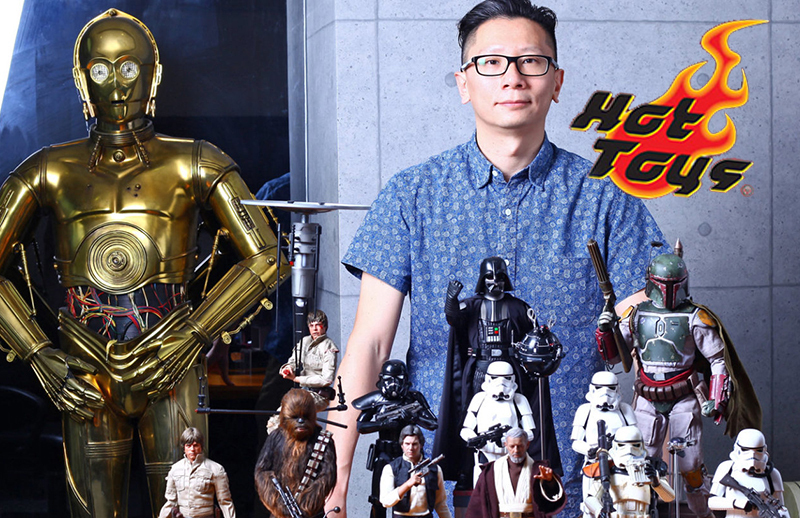 For bringing that kind of realism to the collectible business, Howard Chan, founder of Hot Toys, is a 2018 inductee of the Pop Culture Hall of Fame. Known mostly for their large (1/6 scale, roughly a foot tall) superhero figures, Hot Toys extends to other parts of pop culture and entertainment as well. Characters from Star Wars, Back to the Future, and RoboCop are among other well-known movies that have been immortalized by the company. Chan got his start as a screenwriter for the Hong Kong based television station TVB. He decided to open an action figure shop in Hong Kong in the late ’90s, called, interestingly, Cool Toys. There were numerous large-scale figures available at the time, but they were more toylike in look and detail. Chan wanted to make something more. His first sculptures were of Mission Impossible’s Ethan Hunt, George Lucas, and Neo from the Matrix. These were not officially endorsed, small quantity offerings, but the success convinced him to up his game. 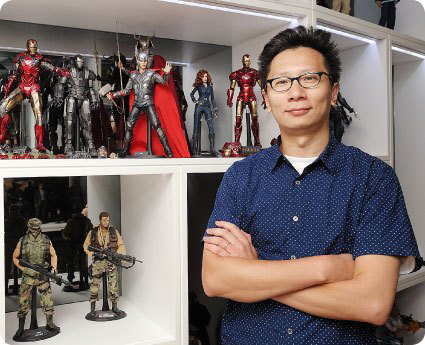 “It was a huge hurdle… we were trying to get licenses through Hong Kong agents, and the agents asked ‘what are action figures?’” he said. In 2000, he produced the first of his series of military figures, an F-14 Tomcat pilot. By creating a “generic” character, licensing issues weren’t a factor, and he was able to build his reputation quickly before stepping back into pop culture figures. With the world of action figures now paying attention, Chan was able to latch onto the Star Wars train and produce figures from those movies. He also took the innovative step of teaming up with Sideshow Collectibles to produce exclusive figures for that prominent distributor. The tandem proved powerful, and Marvel, DC and others were now queuing up to do business with Hot Toys as well. No artistic detail or business detail for a Hot Toys offering escapes his eye. To this day, even as the head of the company, he insists that every single new figure goes through his rigorous processes.